A North East electrical and mechanical specialist has begun work on a £4m state-of-the-art building on Teesside. 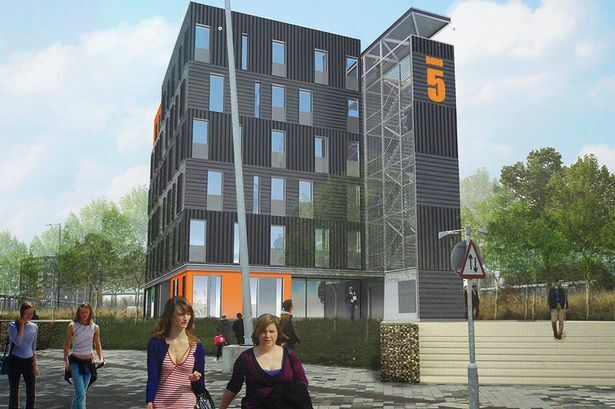 Opus Building Services has started on Boho 5 – the latest addition to the Boho complex in Middlesbrough. The six-storey building, which is designed specifically for the digital and creative sectors, forms part of the Middlesbrough Middlehaven Redevelopment Project, which is being delivered by Middlesbrough Council and the Homes & Community Agency (HCA). The scheme is part of the Digital City Business Initiative, a partnership between Teesside University and Middlesbrough Council. Gavin Richardson, managing director of Opus Building Services, said: “Middlehaven is one of the region’s largest and most exciting regeneration schemes and it’s fantastic to be working in such a thriving creative hub, which has generated local jobs and attracted international attention and investment. The Boho Zone acts as a commercial quarter for Middlesbrough’s digital media, digital technology and creative sectors and provides business space for start-ups as well as established business. Inspired by the Soho areas of New York and London, the Boho Zone ensures that local creative businesses have the right environment to grow and achieve success. Meanwhile, Opus has been invited to join household names such as Sainsburys, Virgin Media, Boots and the Co-op to develop a proposed Apprenticeship Trailblazer in Management and Leadership.